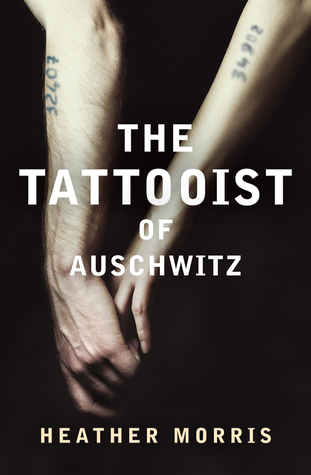 There are so many WWII fiction novels out there, and I have read many of them, but The Tattooist of Auschwitz has managed to stand out among the rest. I have never read a story that focuses on a tattooist in a concentration camp. The book is based on a true story and knowing that makes it that much more powerful and gut-wrenching. Heather Morris interviewed the real-life Lale Sokolov and this is her take on their story. Here is a article from Publishers Weekly about Morris meeting Lale; it is definitely worth reading. As someone who is not usually a fan of love stories, the relationship between Lale and Gita is an exception. It was a shining light in an otherwise dark situation. There was definitely an element of hope in this story. It was amazing to see all of the characters’ strength and will to live. I also found myself connecting with the side characters and my heart would shatter any time something would happen to one of them. I really appreciated the fact that The Tattooist of Auschwitz taught me something. I figured after reading so many WWII novels that there was not much more I could learn about that time but of course I was wrong. There were so many injustices that happened during WWII that I will never know or truly comprehend it all. I shed both sad and happy tears throughout this entire novel. Do not read it in public! I was an absolute mess. This is a story that will stay with me and I think it is one of my favourite love stories ever. It felt so completely raw, real and hopeful. Thank you so much to Harper Collins Canada for sending me a copy of The Tattooist of Auschwitz in exchange for an honest review. This sounds like a very powerful story. The few times I’ve walked past this in the book store I’ve looked at it but I was never convinced to read it because like you, I didn’t think ”another” WWII novel could tell me something new, This sounds interesting though! It’s incredible! It stands out amongst the rest of the genre. I wouldn’t be surprised if they made it in to a movie. It’s beautiful! It really is! No problem! My TBR keeps getting bigger, my wallet getting thinner, and the pile of library books on my nightstand is getting taller…Great review! Thank you! I am always happy to add to your TBR!! It’s a great one! You’ve captured the elements of this book perfectly! I agree with you that the real life take on it makes it so much more real and raw. I can’t imagine what it must have been like for Heather Morris when she met Lale in person. Wonderful review! Thank you! It has been so long since I read a book as powerful as this one. Thank you for reading! I am so happy that others have read and loved this book as well. Powerful! Thank you! I feel the same way about love stories but something about this book made it feel like more than a love story. I was truly invested! It’s good that this stood out from other books and it’s great that it taught you something. I’ve been thinking of reading this for a while and now I think I definitely should read it. Fantastic review! You really should. I was truly touched by it. Thank you! In other reviews, I didn’t realise this was a love story. Oops! It is unlike any love story that I have ever read. I highly recommend it! Thank you! It is fantastic!